One of rock’s first teen sensations who went on to a long-lasting career that saw only brief flurries of commercial success, but who built an enduring reputation that lasted into the next century. Littlefield was born in Texas in 1931 becoming proficient on guitar by age six, then finding his true métier on the piano the next year. By fourteen he was playing bars, his flashy technique already drawing notice and just before turning seventeen a local Houston record shop owner, Eddie Henry, started his own label specifically to record the young rock prodigy, releasing a handful of sides over the next few months before Littlefield was scouted and signed by Modern Records of Los Angeles, a much more established independent label. Immediately upon arrival he notched his first hit and followed it with two more records that made the still skimpy national charts, while also scoring numerous regional hits along the way. Though an excellent boogie pianist Littlefield’s biggest influence came with what he called his “floating right hand” which introduced the value of piano triplets behind mid-tempo and slower numbers, something Fats Domino picked up on and popularized throughout the next decade, always crediting Littlefield as his source of inspiration. Vocally Littlefield was very similar to fellow Texas rock pianist Amos Milburn, using a disarmingly lethargic delivery with a warm mellow tone to convey an enormous amount of soul in his singing. Despite writing most of his own material Littlefield was an early recipient of some of Jerry Leiber & Mike Stoller’s compositions when they were just starting out, including the original version of “Kansas City”, which Federal Records confusingly renamed “K.C. Loving”, perhaps costing themselves sales in the process. A few years later when Wilbert Harrison used Leiber & Stoller’s preferred simpler title and scored a #1 hit with it, prompting many to go back in the years since and explore Littlefield’s original which as a result remains his most identifiable recording. 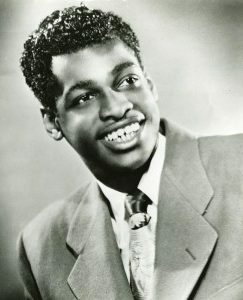 After a commercial downturn in the mid-50’s he returned to the charts on tiny Rhythm Records in 1957. Oddly enough, despite this revival of his fortunes and the subsequent revisiting of Kansas City in 1959, Littlefield’s recording career – at least in terms of released singles – was essentially over by 1960, save for a few stray sides coming out. When touring opportunities dried up, though he was still just in his early 30’s, he settled into the San Francisco club scene playing a varied set list that encompassed everything from classics to country and western along with his preferred rockin’ boogie style. Rediscovered in the mid-70’s he played U.S festivals and traveled overseas for the first of many highly acclaimed European tours which led in turn to his first opportunities to cut full-length albums in the early 1980’s. In addition he met and married a woman from the Netherlands and settled in that country where he remained for the rest of his life, touring fairly steadily until 2000. His retirement lasted until 2006 when he got tired of fishing and returned to the stage, as vibrant a performer as ever, until cancer claimed him in 2013 at 81 years old.